He studied at the studio of Petrov-Vodkin. He wal also a student of David Shterenberg and was an active member of the OST art group (1925-31). 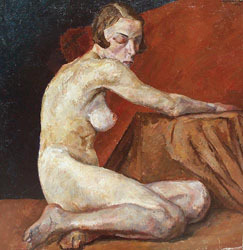 He was a Member of the Union of Artists since 1940 and his paintings are exhibited in many Russian and European museums.